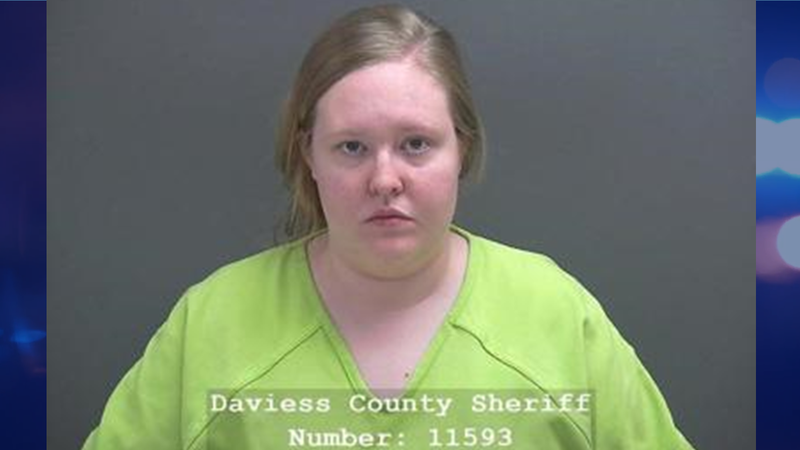 DAVIESS COUNTY -- A babysitter has been arrested after the six-month-old she was a watching sustained serious injury. Police say the mother of the child picked the baby up recently and discovered bruising on his forehead. She took him to the hospital where doctors confirmed the child had injuries consistent with inflicted trauma, including a skull fracture, broken arm and other injuries. Police say Jones left the baby alone to prepare a bottle when he rolled off of the couch and on to the floor. The babysitter admitted she got annoyed, grabbed the baby by its upper arm and threw him onto the couch. She told investigators she sometimes blacks out and drops the child. Jones is charged with two counts of aggravated battery, battery resulting in serious bodily injury and neglect of a dependent resulting in serious bodily injury.